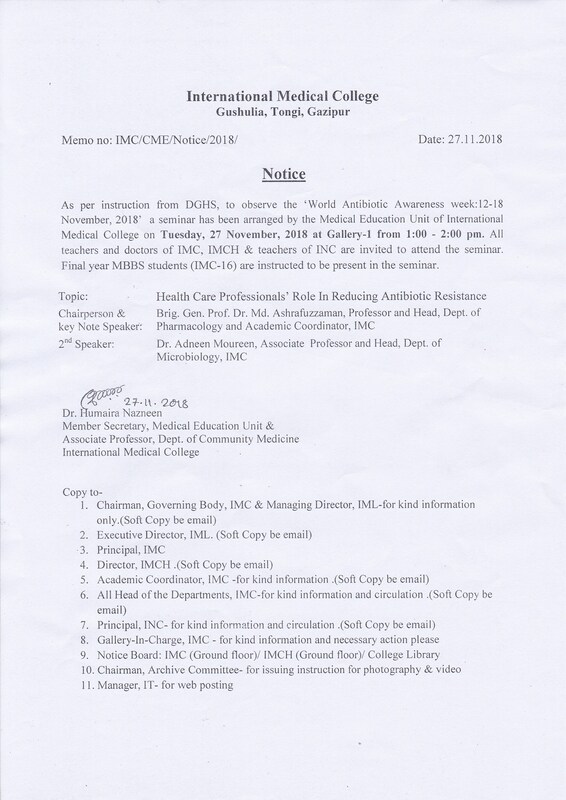 As per instruction from DGHS, to observe the ‘World Antibiotic Awareness Week: 12-18 November, 2018' a seminar has been arranged by the Medical Education Unit of International Medical College on Tuesday, 27 November, 2018 at Gallery-1 from 1:00 - 2:00 pm. All teachers and doctors of IMC, IMCH & teachers of INC are invited to attend the seminar. Final year MBBS students (IMC-16) are instructed to be present in the seminar.